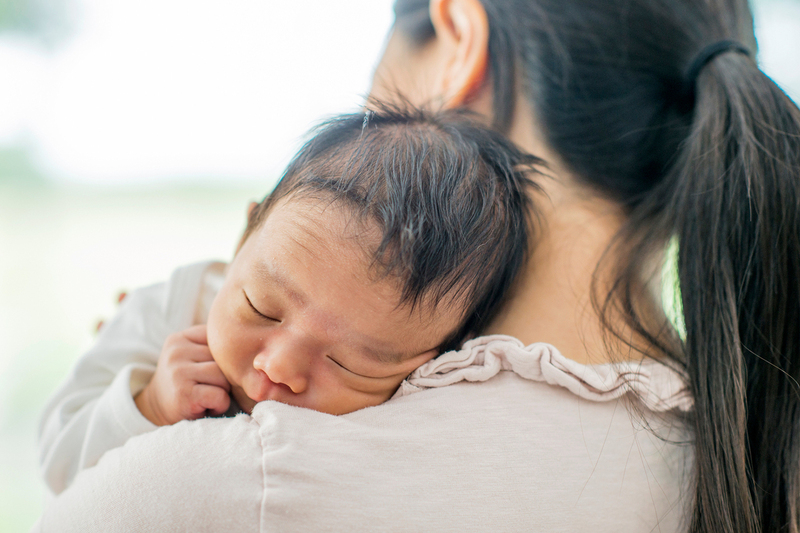 Paid Family Leave Gets A Tax Credit Incentive, But Is It Big Enough? : Shots - Health News Many specialists in family leave policy say the tax credits included in the new federal law are too small to persuade most employers to offer such benefits. The new tax credit sidesteps a common pitfall in the eyes of many Republicans by avoiding a mandate — it doesn't require employers to provide paid family leave. Instead, the law offers firms a financial incentive to provide the coverage. The tax credit, proposed by Sen. Deb Fischer, R-Neb., is available to companies that offer at least two weeks of paid family or medical leave annually to workers; but two key criteria must be met. The workers must earn less than $72,000 a year and the leave must cover at least 50 percent of their wages. If the company contributes at the half-wage level, it will receive a tax credit equal to 12.5 percent of the amount it pays to the worker. The tax credit will increase on a sliding scale if the company pays more than 50 percent of wages. It could go up to a maximum credit of 25 percent of the amount the employer paid for up to 12 weeks of leave. Payments to full- and part-time workers taking family leave who've been employed for at least a year would be eligible for the employer's tax break. But the program, which is designed to test whether this approach works well, is set to last just two years — ending after 2019. Aparna Mathur, a resident scholar in economic policy studies at the American Enterprise Institute, says the new tax credit sidesteps a common pitfall in the eyes of many Republicans by not requiring employers to provide paid leave. The tax credit also is appropriately aimed at lower-wage workers — who are the ones least likely to have access to paid leave, says Mathur, who co-authored a recent report on paid family leave. Still, she says, the provision is not a big enticement to companies. "Providing this benefit is a huge cost for employers," Mathur says. "It's unlikely that any new companies will jump on board just because they have a 12.5 to 25 percent offset." That view is shared by Vicki Shabo, vice president for workplace policies and strategies at the National Partnership for Women & Families, an advocacy group. Shabo says the provision will primarily benefit workers at companies already offering paid family leave. The new tax credit "just perpetuates the boss lottery," she says. Heather Whaling says her 22-person public relations company, Geben Communication in Columbus, Ohio, probably qualifies for the new tax credit. But she doesn't think it's the right approach. Whaling, who is president of the PR firm, says Geben already provides up to 10 weeks of paid leave at full pay for new parents. So far, four employees have taken leave; by divvying up their work to other team members and hiring freelance help, the firm has been able to get by. "It is an expense," Whaling says, "but if you plan and budget carefully it's not cost-prohibitive." The tax credit isn't big enough, she says, to be a strong incentive. Besides, "having access to paid family leave shouldn't be luck of the draw — it should be available to every employee in the country." Still, the tax credit may be appealing to companies that have already been leaning toward adding a paid family and medical leave benefit, says Rich Fuerstenberg, a senior partner at Mercer, a benefits consulting firm. By defraying some of the cost, the tax credit might help "tip them over" into offering paid leave, he says. But "I'm not even sure I'd call it the icing on the cake," Fuerstenberg says. "It's like the cherry on the icing." Only 15 percent of private-sector and state and local government workers had access to paid family and medical leave in 2017, according to the Bureau of Labor Statistics' National Compensation Survey. Eighty-eight percent, however, had access to unpaid leave. Generally, under the federal Family and Medical Leave Act, employers with 50 or more workers must allow eligible employees to take unpaid leave for up to 12 weeks annually, for specified reasons. These reasons include the birth or adoption of a child, caring for your own or a family member's serious health condition, or leave for military caregiving or deployment. An individual's job is protected during such leaves. Erik Rettig, an expert on family leave policies at the Small Business Majority, which advocates for those firms on national policy, says a tax credit, claimed at the end of the year, is unlikely to encourage small businesses to offer paid family and medical leave. "It isn't going to help the family business that has to absorb the costs of this employee while they're gone," Rettig says. A better solution, according to Shabo and others, would be to provide a paid family leave benefit that's funded by employer and/or employee payroll contributions. Sen. Kirsten Gillibrand, D-N.Y., and Rep. Rosa DeLauro, D-Conn., last year reintroduced such legislation. Their bill would guarantee workers, including those who are self-employed, up to 12 weeks of family and medical leave with as much as two-thirds of their pay. "We know from states that this approach works for both employees and their bosses," Shabo says.